According to a facebook group I'm a part of, this is an actor, but I have no idea who he is and they don't know his name nor what series o cine he's in. 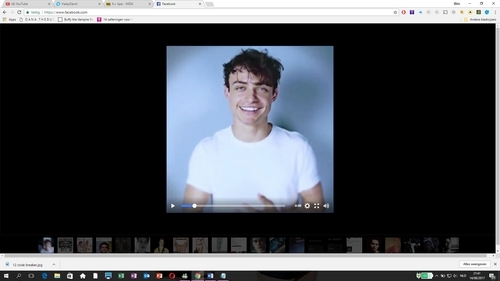 If you're still wondering who this is, this is Thomas Doherty. He stars as Harry Hook in Disney's Descendants 2 & 3, and is currently dating fellow Descendants costar paloma Cameron.